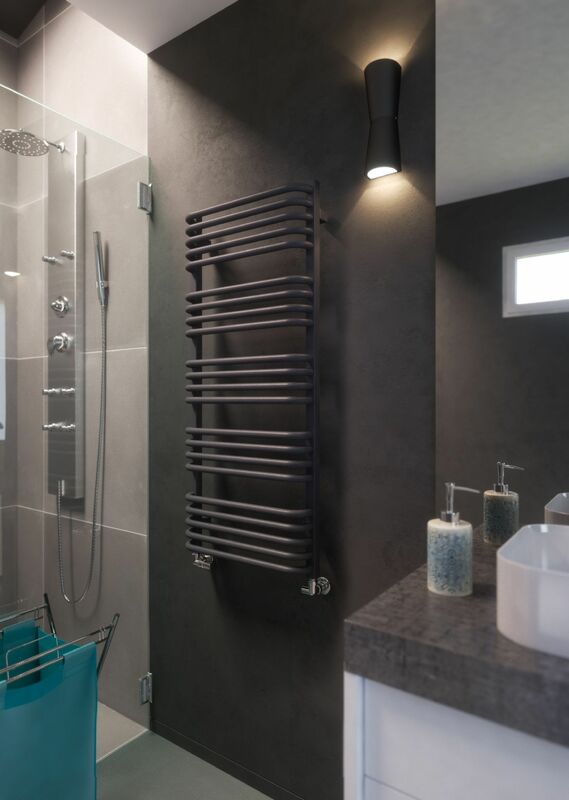 The Alex Heated towel radiators are a stylish addition to any bathroom. 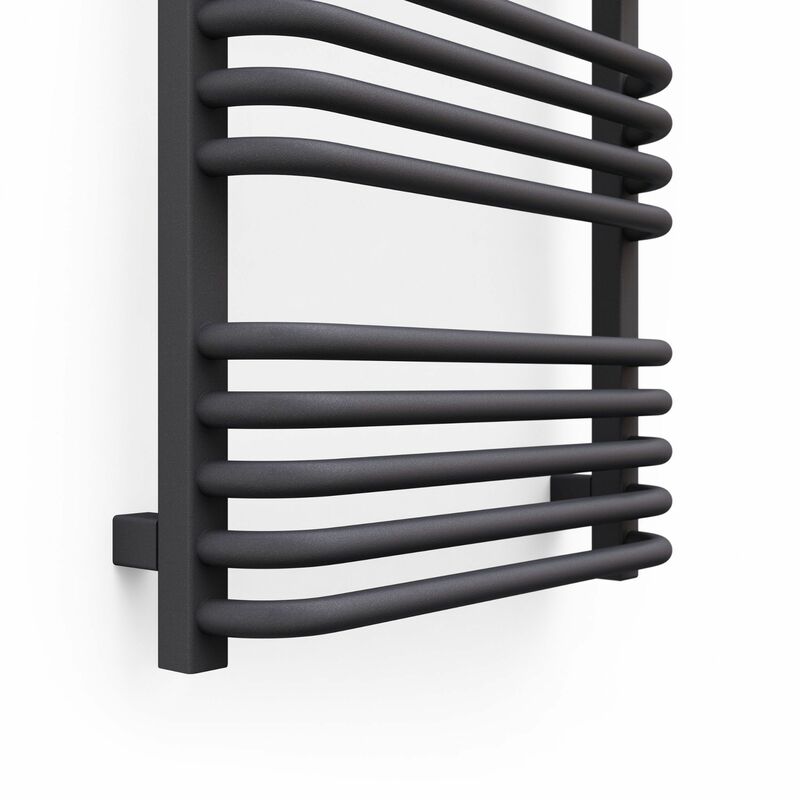 This radiator is available in a Modern Grey colour only. 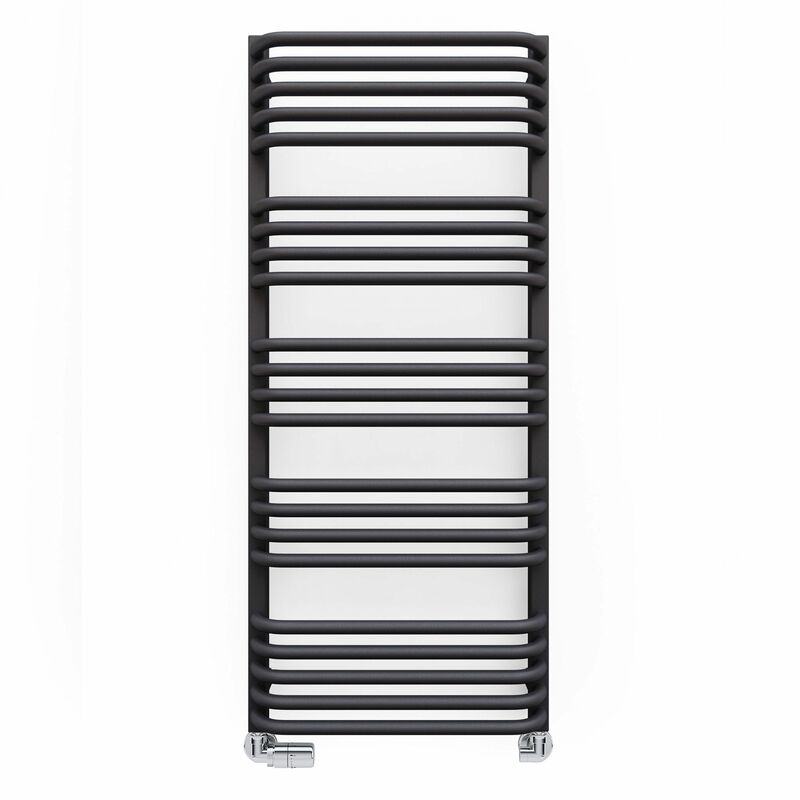 This radiator is also available in an Electric option. 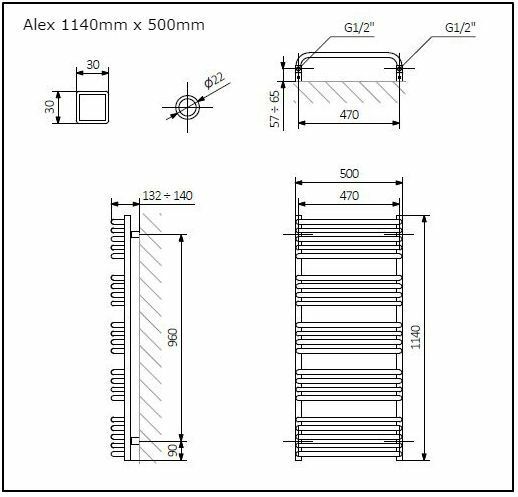 This radiator is 500mm wide - Please choose the height you require from the drop down menu below. 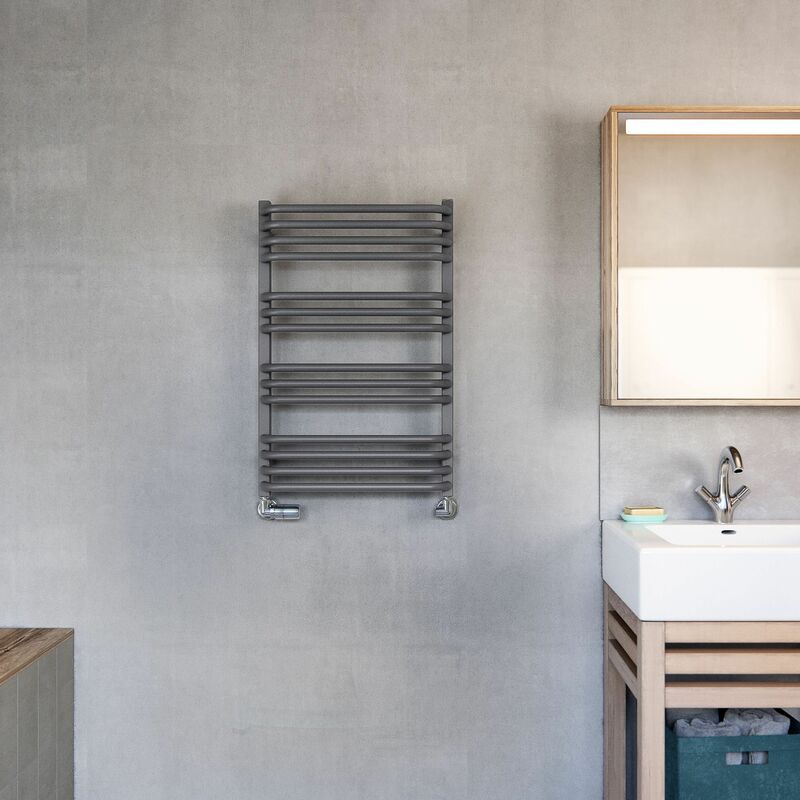 All of our Towel radiators are available on next day delivery when ordered before 12pm. Simple and stylish. Ideally fits in both, classic and modern bathrooms and kitchens. The curved tube and the space between the towel rails sections allow easy hanging of the fabric to dry. 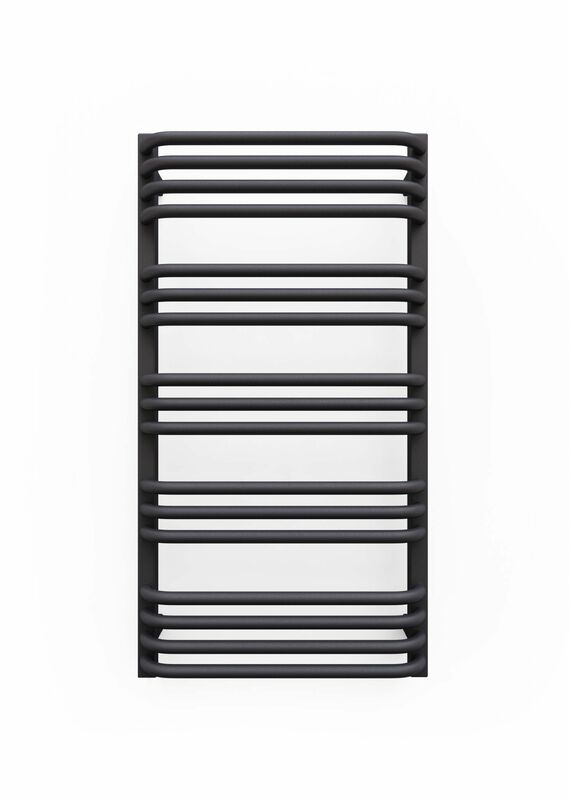 The Alex Heated Towel Rail from Cast Iron Radiators Ltd is available in 3 heights; 760mm, 1140mm and 1580mm.